Set on one of the finest beach front locations in Khaolak beach. Sensimar Khaolak Beachfront Resort is an extraordinary exclusive retreat hotel, perfect for the discerning travelers who like to spend a tropical vacation in a relaxed and child-free environment. Its natural elegance, classic tropical beach charm and Malays-inspired Thai style set this hotel apart from the rest. The hotel is not just in vogue with couples or people on their honeymoon, but also is a great option for parents looking for a romantic getaway and adult singles who seek to make new friends. Enjoy a well-earned, kid-free retreat amid the tropical beach landscape of Khaolak, or spice things up a little for the shopping and nightlife of Khaolak Center (Bang La On). Everything you could possibly want in a tropical getaway is just a stone's throw away. 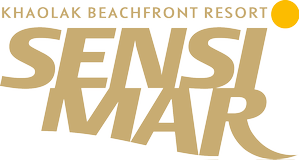 Sensimar Khaolak Beachfront Resort has achieved Travelife Gold certification, supporting sustainability in tourism.